The Martha Stewart Living Classic 3 in. Bedford Brass Ribbon Pull is a beautiful addition to cabinetry or furniture. The pull features a curved design and moulded bases for a handsome look. Metal construction adds durability and is enhanced with a Bedford brass finish. 3 in. centre to centre measurement. Create your own fashionable decor for your bathroom or kitchen cabinetry with the 96mm Bow Pull of the Martha Stewart Living collection by Liberty Hardware. Constructed of high-quality zinc die-cast material, this chic pull possesses a simple, yet stylish design. The Bedford Nickel finish adds that final touch to a must-have piece of cabinet hardware. 3 in. Channel Pull The Martha Stewart Living 3 in. 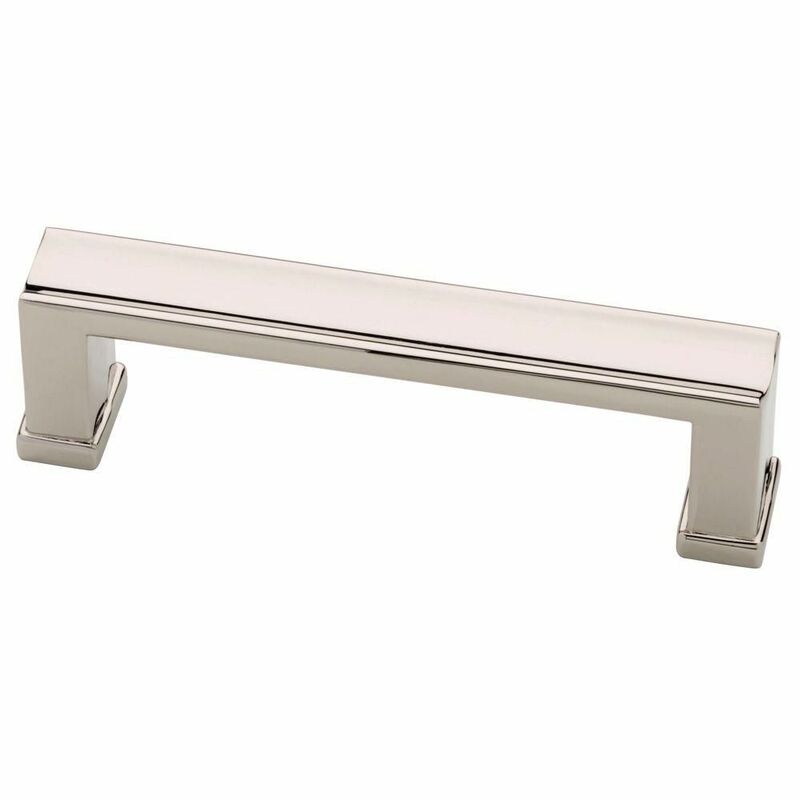 Polished Nickel Channel Pull features a casual design that complements many home decor styles. The pull is made with die-cast zinc to help ensure strength and features a 3 in. center-to-center, rear-mount design for easy installation. Comes with two 8-32 x 1 in. fasteners. 3 in. Channel Pull is rated 4.8 out of 5 by 17. Rated 5 out of 5 by Mellie from Beautiful as all Martha Stewart designs are, but too small for my cabinets. Beautiful as all Martha Stewart designs are, but too small for my cabinets. Rated 5 out of 5 by Jennifer from Great product for value.... Great product for value. Rated 5 out of 5 by notahandyman from Great Looking! This are super looking and really updated my cupboards. None of the screws were missing. All of the holes were drilled out correctly which made the installation simple for my daughter and myself---didn't have to ask for help. That get's 4 stars in itself. Rated 5 out of 5 by Amanda from Martha Stewart Hardware The handles came within a week of ordering free delivery to store-exactly what I needed. Rated 5 out of 5 by HappyBuyer from Very Nice Pulls for a Great Price I really would give this a 4.5 stars, because some of the pulls have minor defects, but I had ordered extra on accident and returned the ones that were defective. They look very nice for the price and give my cabinets a very polished look. I'm happy with this purchase. Rated 5 out of 5 by COTTESLOE from I LOVE THESE I LOVE THESE & PAIRED THEM WITH THE MEDALLION KNOB. I HAVE THEM IN MY BATHROOM & I LOVE THEM SO MUCH I AM ORDERING MORE TO PUT IN MY LAUNDRY ROOM. HOME DEPOT PLEASE DO NOT DISCONTINUE THIS ITEM OR ANY OF THE MARTHA STEWART ITEMS (LIKE HER BATHROOM ACCESSORIES SEAL HARBOR COLLECTION - I LOVE THE SIMPLE CLEAN STYLE AND LESS IS MORE LOOK. IT IS ALL IN THE DETAILS.